He's visiting two companies with industries at the centre of the trade dispute. 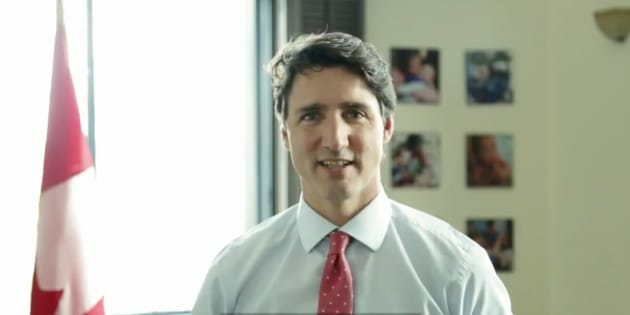 OTTAWA — As Canadians celebrated the country's birthday on Sunday, Prime Minister Justin Trudeau was on the road highlighting the stand he has taken against the U.S. government's decision to impose tariffs on Canadian steel and aluminum. Speaking in Leamington, Ont., Sunday morning, Trudeau thanked residents and Canadians for always standing up for one another and for Canadian values. "This is who we are, we're there for each other in times of difficulty, in times of opportunity. We lean on each other and we stand strong and that's what we do from coast to coast to coast," Trudeau said. The Ontario town is one of three cross-country stops the prime minister scheduled on Canada Day, and one of two designed to reflect the looming trade war between Canada and the United States. Trudeau met with workers at a major canning and food processing operation in Leamington, where the tomato paste used in French's ketchup is made. Later in the day, he visited a major steel refinery in Regina. The two industries are at the heart of the trade dispute. Trudeau's counter-tariffs on a range of products took effect on Sunday — a month after the Trump administration slapped duties on U.S. steel and aluminum imports from Canada and other allies. Justin Trudeau in Leamington, Ont., on July 1. Canada's response includes imposing $16.6 billion worth of tariffs on a long list of consumer products that come from a wide range of sectors — from beer kegs, to ballpoint pens, to ketchup. On Friday, Trudeau spoke with U.S. President Donald Trump by telephone, reiterating that Canada has had "no choice" but to take countermeasures against the U.S. tariffs. It appears Trump, too, is not backing down. In an interview that aired Sunday morning, Trump said he will delay signing a revised version of the North American Free Trade Agreement until after the U.S. mid-term elections in November in hopes of reaching a better deal. He said he could quickly sign an agreement with Mexico and Canada, "but I'm not happy with it. I want to make it more fair." In the interview on Fox News Channel's "Sunday Morning Futures with Maria Bartiromo," Trump again threatened to impose tariffs on imported cars, trucks and auto parts, saying, "The cars are the big ones." The move has been viewed as a possible negotiating ploy to restart NAFTA talks, which could resume following Sunday's elections in Mexico. U.S. tariffs on auto imports would be a major blow to Canada's economy because of the importance of the auto industry plays in the country. The U.S. Commerce Department is expected to hold hearings on auto tariffs in late July and to complete its investigation into auto imports later this summer. Despite the tense political rhetoric among leaders, Trudeau kept his remarks upbeat and patriotic on Canada Day as he spoke to a crowd in Leamington. He praised Canadians for their supportive attitudes in the face of a trade dispute with its largest trading partner. "There is so much to be proud of as a country, but the thing we always have to be most proud of is Canadians ourselves — the way we step, the way we lean on each other, the way we're creative and optimistic about the future, the way we look at challenges as opportunities, to grow, to build, to be there for each other. That's the message we're celebrating on Canada Day," he said. Trudeau was speaking on the front steps of Highbury Canco with CEO Sam Diab. Donald Trump talks with Justin Trudeau during the G7 Summit in Charlevoix, Que. in June. Diab said in an interview that the tomato-processing facility will increase prices of its products as a response to the Canada-U.S. trade dispute. However, the company does not plan on laying off any workers or shrinking its production, Diab said. Trudeau got a tour of the facility and the two spoke about the trade environment and how Diab supports Trudeau's retaliatory tariffs. "We just need closure so that we can move forward and companies can start investing again," said Diab, adding that the prime minister's visit to the company made him feel more "confident" in the market. "Our company will survive no matter what." Later in the day in Regina, Public Safety Minister Ralph Goodale said Canada's tariffs were designed to offer a clear message that the Trump administration's trade action against Canada is "illegal and absurd" and that Canada is responding, dollar-for-dollar, in retaliation. Prime Minster Justin Trudeau at the 2018 Rotary International Convention at the Air Canada Centre in Toronto on June 27. "We will not just be victims of American policy, we're going to fight back." He said Trudeau wanted to be on the ground with steelworkers at a family event on the day Canada's counter-tariffs came into effect to "make it really tangible what this is about. "It's not about corporate board rooms and decision-making at some 30,000-foot level. This touches families and lives and homes and communities." Meantime, revellers on Parliament Hill who braved scorching temperatures to take in the festivities in Ottawa also expressed support for Trudeau's hard line against Trump on trade. Angela Egan said she feels Trump is trying to "bully" Canada into submission. "I'm glad that Justin Trudeau is standing up to him, because I feel like that's his modus operandi, he just tries to bully to get his way and we need to stand up for ourselves," she said. "I think if you stand up to him, he'll back down." Ian Cross of Prince Edward Island said he does not believe Canada-U.S. relations are being damaged too deeply by the current trade spat. "I think we'll get through this. Everybody has to go through different arguments and discussions. People do it, families do it, so I don't think this is a big deal." With files from Alanna Rizza in Leamington and the Associated Press.